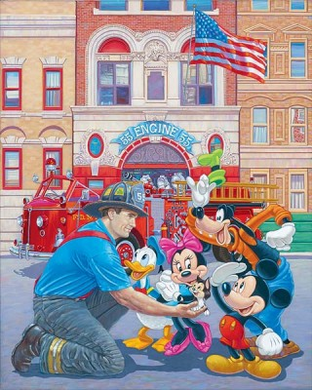 Manuel Hernandez Hand Signed & Numbered Limited Edition Framed Giclee Print: "Engine 55"
Edition:Artist Hand Signed and Numbered Limited Edition to 795 Publisher Framed edition on paper. Unframed Stretched Embellished Canvas to 295 editions. Medium: Fine Art Giclee on Paper (Framed)and Canvas (unframed0. No thank you, I just want the FRAMED print.